i rock paper and scissors: You Make Me Happy! I added splatters of mist to my cardstock, then layered on the large strips of patterned papers, machine stitching them as I layered. 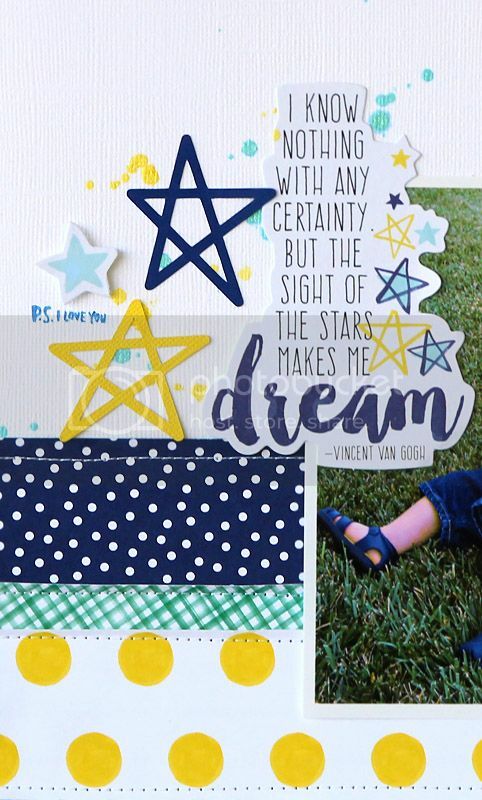 Next came the embellishments from the die-cut pack, along with a few stars I cut with my Silhouette. Another layout to add to the album! Hello Mary Ann, your page makes me happy! the colors themselves make me dream of spring! I love "boy" pages, and yours is a delight! 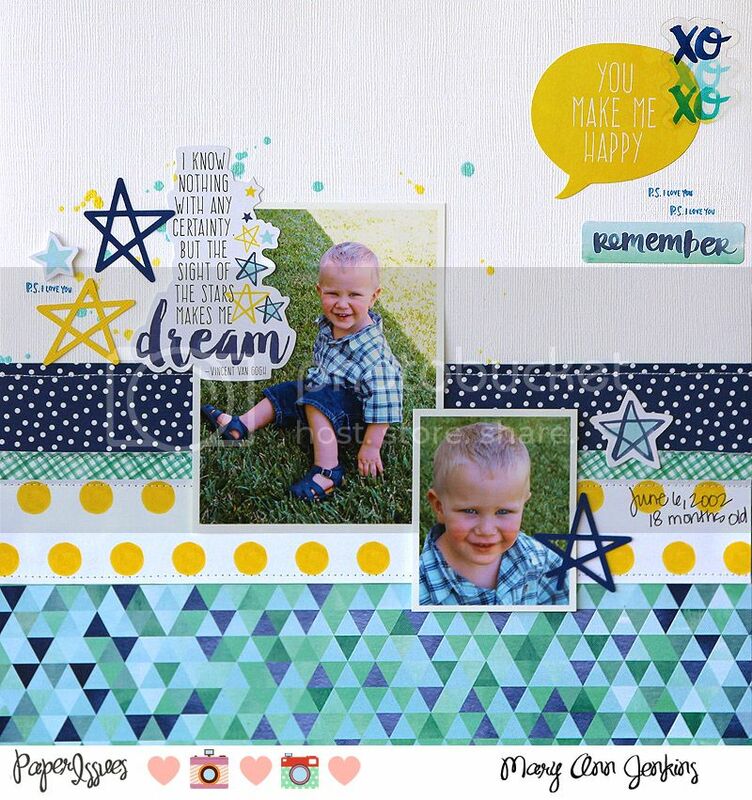 Love the layout, love how you layered all the nice patter papers at the bottom, all this without taking the focus on the pictures! wow... you are "sensational!" each time I visit you, I so wish I could start another album; I certainly have enough boy pictures to get to work! Hugs. Sooooo cute!!!!! Love this line! REally makes the photo pop!